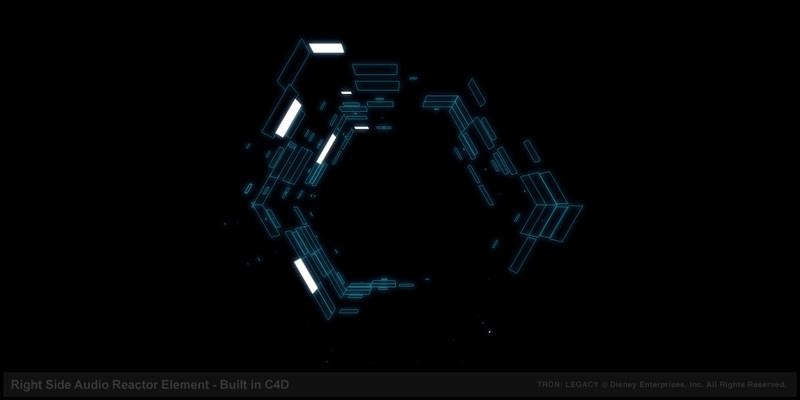 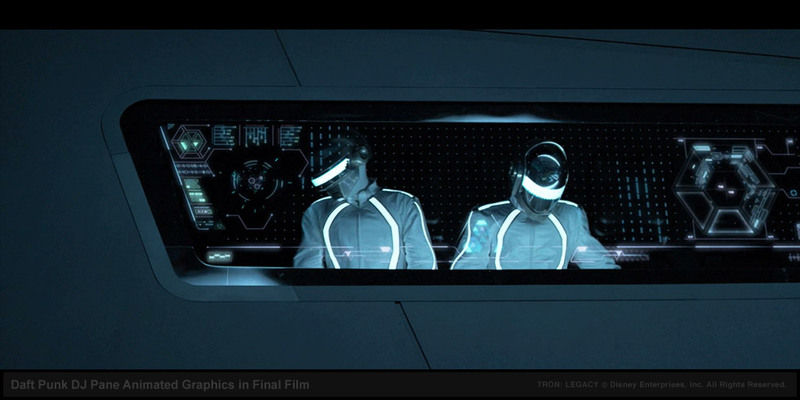 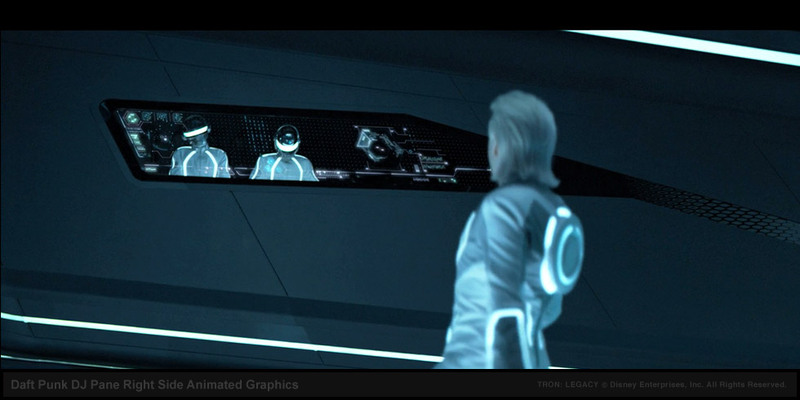 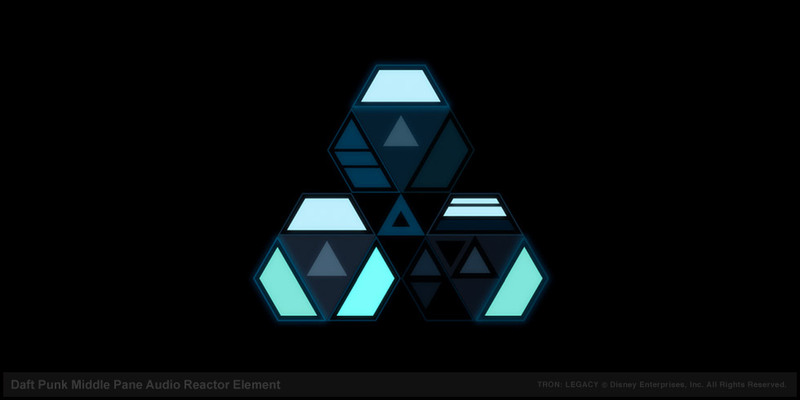 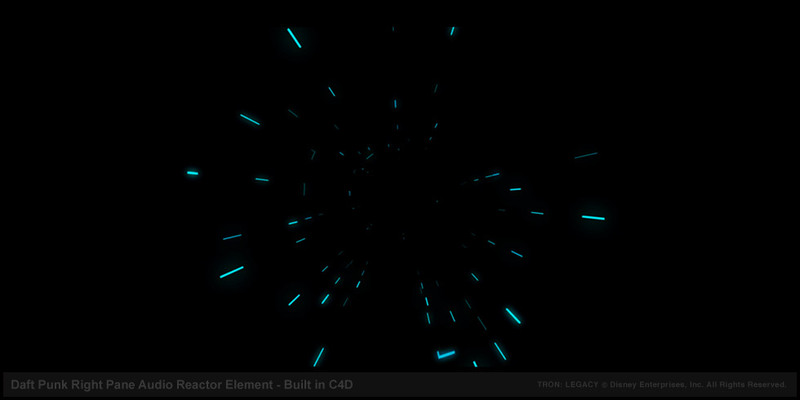 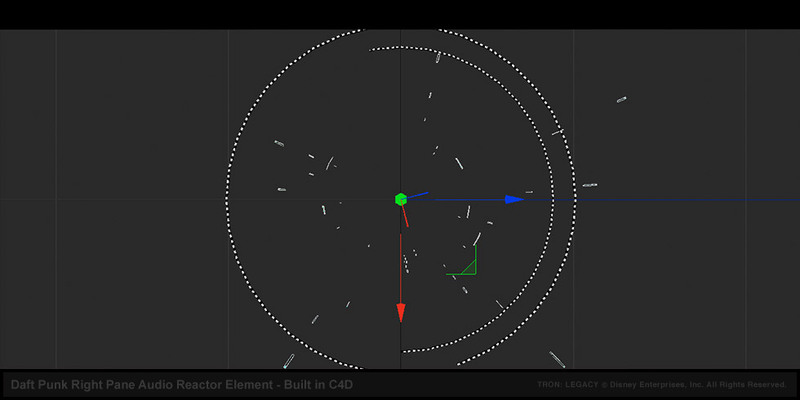 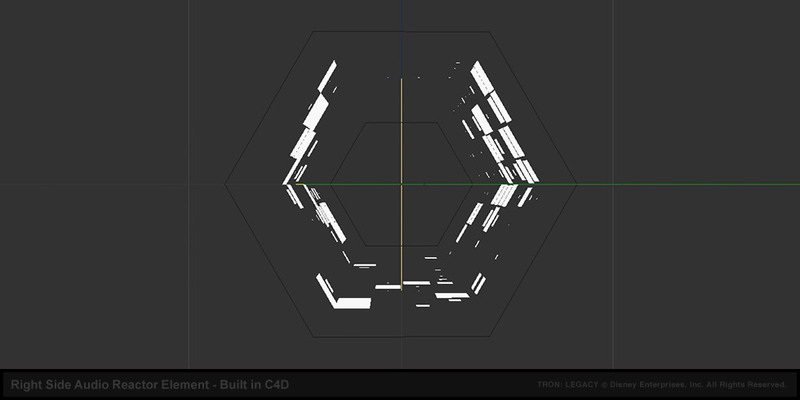 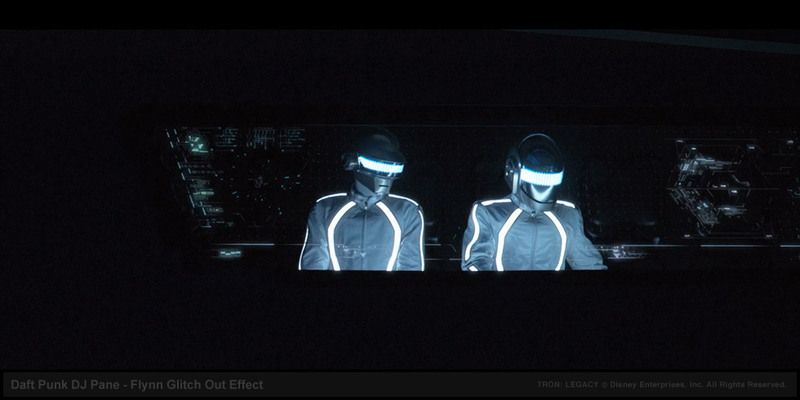 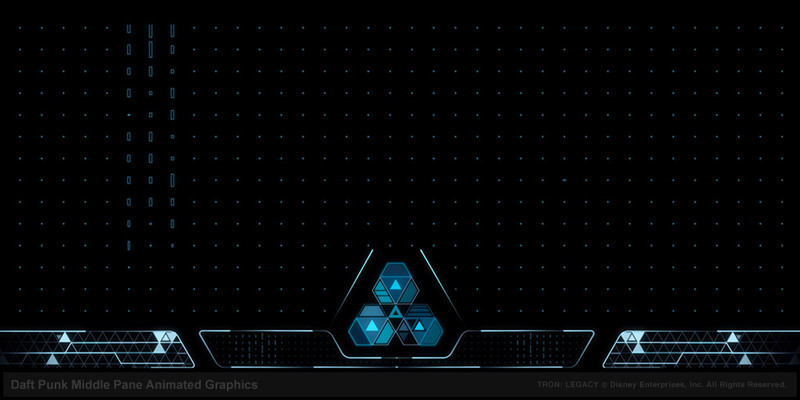 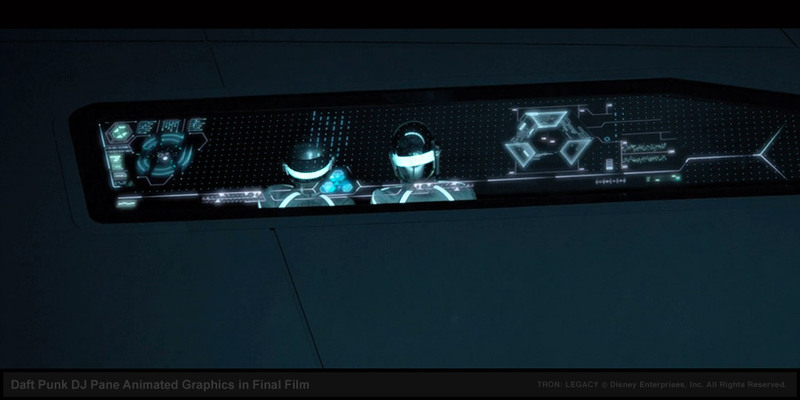 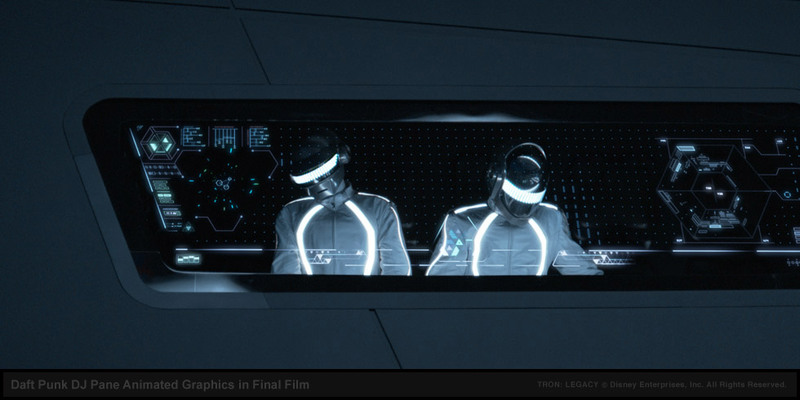 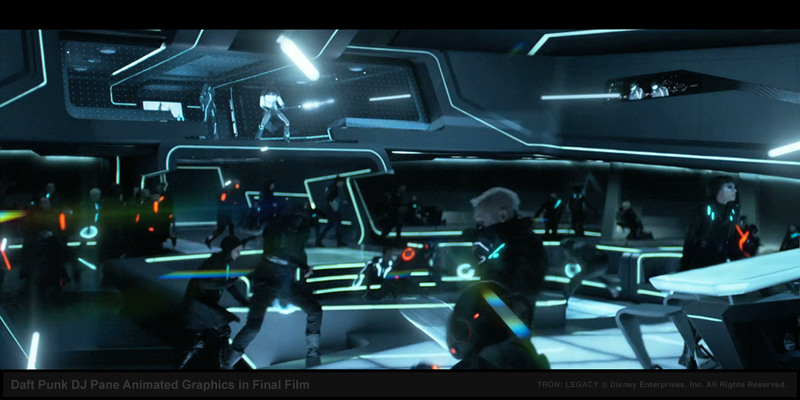 Daft Punk's cameo appearance in TRON: Legacy provided a rare treat to visualize a fully animated digital readout screen in perfect sync with the duo's binary beats. 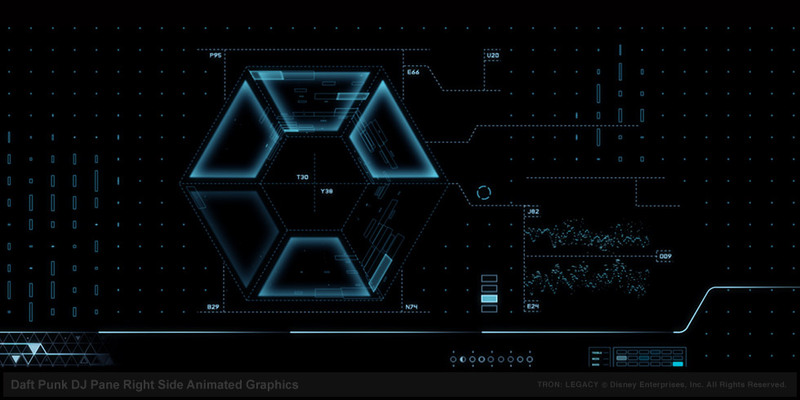 The digital dj pane had to reinforce the advanced computer world technology used by highly evolved musical programs. 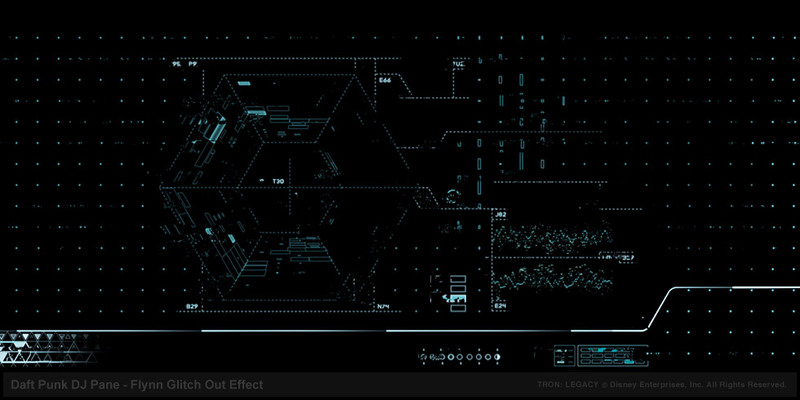 A flowing dot grid, pulsing energy lines, and digitally dense beat indicators felt appropriate against the visual of these highly evolved djs in their natural element. 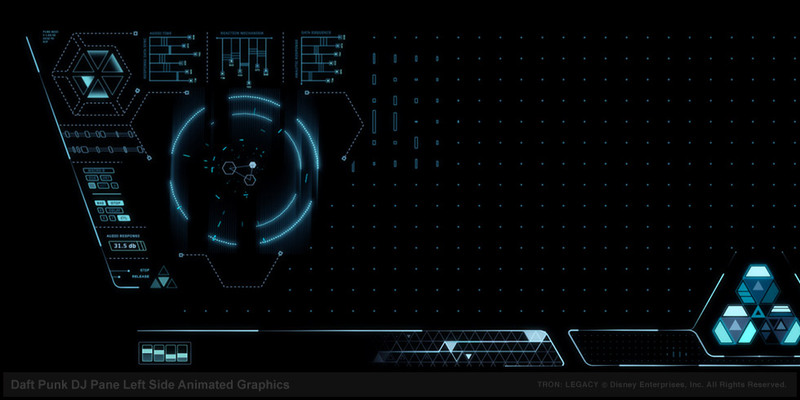 The chance to create animated graphics that complement an artist I already love in a movie like TRON: Legacy was indeed a series of fortunate events.